Create your dream garden with help from a professional. Water can add a unique texture to any garden. Mixing hardscaping with plant material. It is September — so we are moving into fall colour. 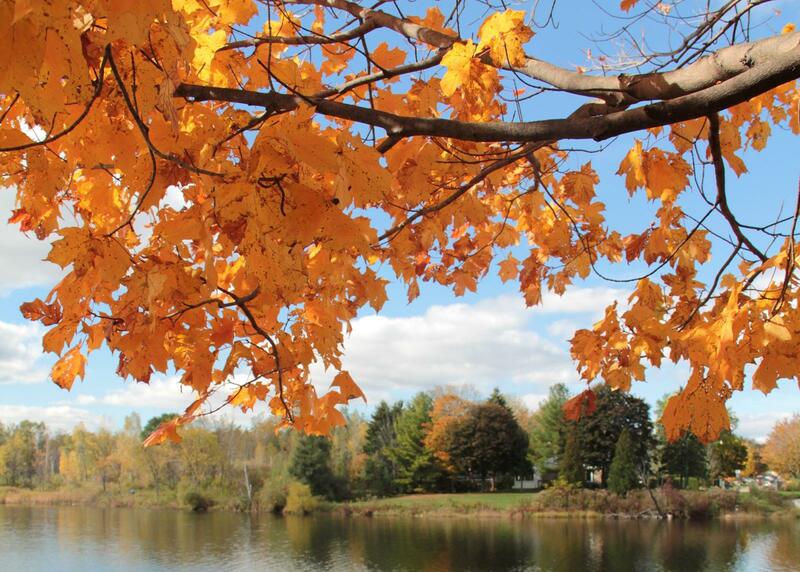 The Ontario countryside in the fall is a spectacularly colourful landscape that we all admire and enjoy. Many of us make special trips to view the brilliant colours of Maples and waysides adorned with Goldenrod and Asters. But where is the colour in our own garden? In planning our gardens, we very logically begin at the beginning. Spring flowering bulbs are followed by the early flowering shrubs such as Flowering Almond, Japanese Cherries and others. We realize that these flower only for a short time and look for other shrubs and trees for continuing colour throughout the summer: Deutzia, Mockorgange, Weigela and of course, Roses. Soon, our garden space is fully planted and only in September do we realize that we have neglected to include the late flowering shrubs and those with brilliant fall foliage.